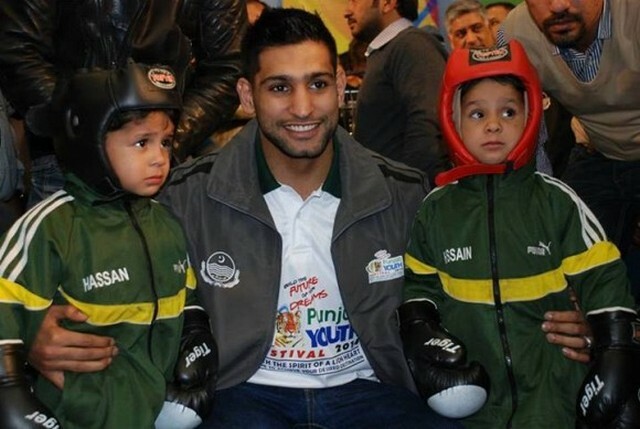 KARACHI: All the 18 teams, including two from Sindh, have assembled in the city for the all-Pakistan Amir Khan boxing tournament which begins at the Ustad Abdullah Baloch Stadium inside the premises of Peoples Sports Complex from Monday. “The staging of the event is aimed at promoting a positive image of Lyari across the world,” Lt Col Zahid Hussain Shah, Commandant 92 Wing, Pakistan Rangers Sindh, told the news conference held at the venue on Sunday. He said boxers and footballers of Lyari have done the country proud winning medals at regional, world and Olympic levels in the past. Amidst applause he disclosed that approximately 2,000 youth of the locality would be provided employment opportunities in the private sector and Sindh Rangers. He further said that Sindh Rangers has taken over the administration of Lyari Polytechnique near Baghdadi Police Station and will start producing some 300 associate engineers annually. He said that 180 pugilists from 18 teams will vie for honours in the week long competition. Meanwhile, the draws were taken out on Sunday while the weigh-in will be held on Monday from 8am to 10am with as many as 22 bouts being held in the first round starting at 2pm.